The doctors and staff at Midway Chiropractic are committed to your overall well-being, and we stay abreast of developments that affect your health. 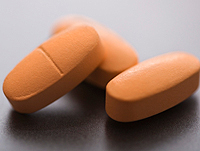 Recent studies and analysis shows that use of statin medications is associated with an increased risk of muscle strains, joint sprains, joint dislocations, and other musculoskeletal injuries. This article outlines some of the findings and notes the further research needed. I want to make my patients aware that if they take statin drugs like Lipitor or Crestor etc. they have a higher risk for injuries to their joints, spine and/or muscles. People on statins must be careful to follow good postures and good body mechanics with work, exercise and activities of daily living. I would recommend patients taking statins to consult with a naturopathic doctor for healthy alternatives to statin drugs. More information on statin drugs can be found at www.mercola.com. Before stopping any medications it is important to consult with your primary care physician. – George D. Miskovic, D.C.